Not only is it important to choose a suitable material for a roof, but one also needs to carefully consider all the fixings and accessories to be compatible with the type of roof in order to get the best performance and longest lifespan.From the roof sheeting, the flashings and all the small screws and fasteners that help to secure and finish off a roof to the handling of all these elements on site – every nitty gritty detail plays a part in the complete roof system. In this article, WALLS & ROOFS takes a look at the importance of correctly specifying the appropriate roofing accessories in order to ensure a successful roof installation, whether the roof is covered with metal sheeting or roof tiles. 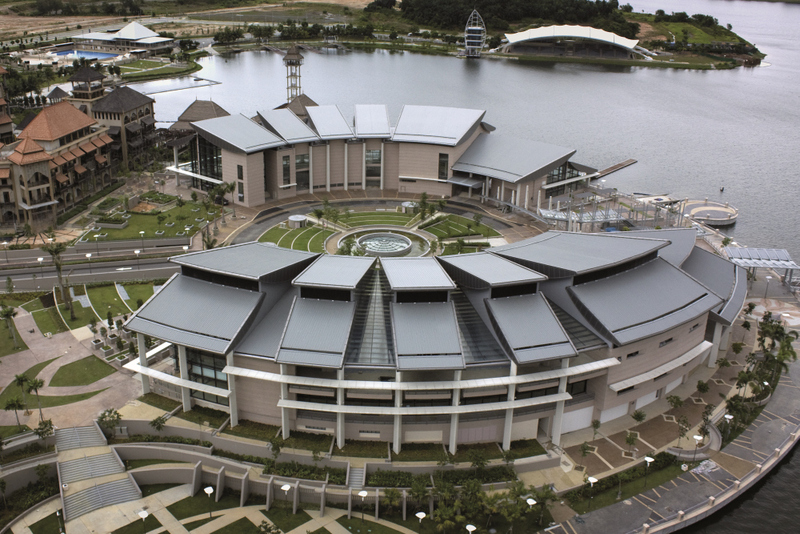 To be able to expect a long service life from a metal-sheeted roof, one firstly needs to choose a material suitable to the conditions under which it must perform. Secondly, it is vital that the performance of the fasteners used to fix the cladding and accessory materials match the corrosion performance and life of the cladding material. This is according to Arno Hanekom, regional manager for Africa at BlueScope Steel Southern Africa, who points out that since contact between different kinds of metals can cause bi-metallic erosion, special care should be taken to use only compatible materials in close vicinity to each other. Figure 1 shows a list of metals from the least active (noble) to the most active metals. Apart from the potential difference between the metals, the area between cathodic and anodic metals, as well as the ability of some materials to form stable passive oxides, which interestingly can control the corrosion reaction and lead to a significant decrease in the rate of material loss, must be considered. 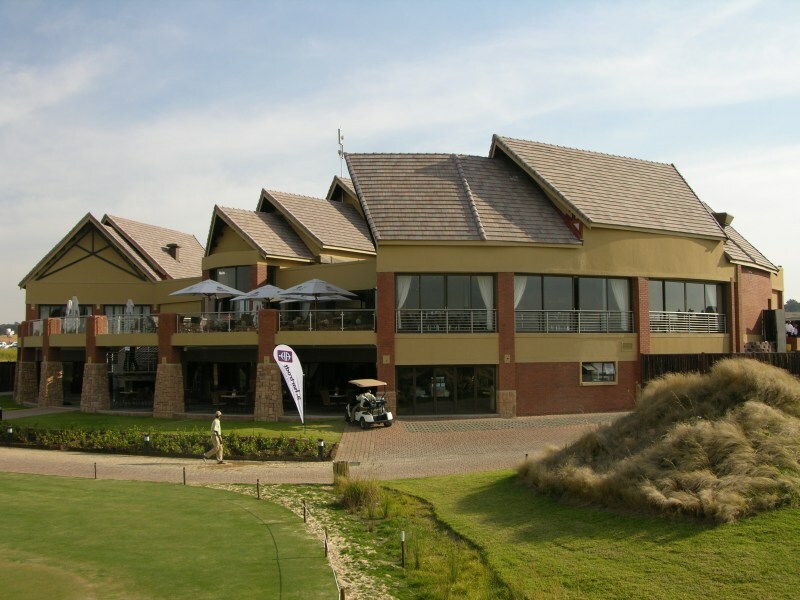 “It is, however, always advisable to confirm incompatible materials with the relevant roof sheeting manufacturer or distributor,” says Hanekom. Corrosion on metal roofs really only occurs when a bi-metallic couple is wet and it is usually localised at the point of contact. It is typically influenced by factors such as moisture in crevices, the speed of evaporation and the time of wetness. “Our experience has shown that significant corrosion of the less noble or more anodic component is dependent upon the time of wetness, which can be further accelerated by contamination of the surface with conductive salts,” he notes. Carbon black is another highly conductive element that is capable of initiating and maintaining a significant corrosion reaction, so washers that are free of carbon black should be used to seal fasteners. Hanekom points out that even common black marking pencils can react with metallic coatings or bare galvanised steel, thereby causing permanent markings or fine corrosion of the sheet surface and, in aggressive environments, severe knife-like corrosion. To prevent a potential reaction with copper, whether it means contact with copper pipes or an area that would potentially be affected when the hot-water system overflows, Hanekom recommends that the outside of copper pipes should be painted. Hot-water discharge pipes should also be extended beyond the roof, preferably to the ground. While zinc-coated steel is safe to use in conjunction with lead, many other types of sheeting must be insulated from it, for example in the event of a renovation where lead is already present and being reused. “Robust plastic film, such as polyethylene damp course, can be used to separate the surfaces, and the lead surface should be painted with two or three coats of water-based acrylic. However, it is best to paint both the underside and the top of the lead surface in case of water runoff and to maintain the painting so that it will not break down and expose any part of the lead surface,” Hanekom advises. When handling steel roofing products on site, the appropriate safety precautions must be taken, not only to protect the staff on site, but also the materials. “Awareness should be raised that sunscreens containing semi-conducting metal oxides, such a titanium dioxide and zinc oxide, can accelerate the degradation of coated surfaces,” Hanekom says. “In the event that localised corrosion occurs on a roof, the damaged area should be repaired as quickly as possible and the area should be recoated with a suitable primer and top coat to prevent the problem from spreading any further,” he adds. • Fasteners must have the same or superior service life as the cladding material. • Use Class 3 and Class 4 screws for roofing in accordance with AS3566.2 – 2002. • All fasteners must be clearly labelled with a traceable brand on the head. • Packaging must identify whether the product complies with AS 3566.2 – 2002. • Conductive washers must not be used. All sealing washers supplied on self-drilling fasteners must be non-conductive (i.e. conductivity ≤0,5 x 10-6amps). • Stainless steel fasteners are not recommended for use with any metallic-coated or pre-painted steel. • Accessory fasteners such as pop rivets should be made from aluminium when fastening metallic-coated or pre-painted steel. Tips courtesy of BlueScope Steel Limited. “When designing a concrete or clay tile roof and specifying the necessary and correct accessories, you increase the performance of the roof and thereby make it last longer. In addition, you ensure that the rest of the house is protected,” says Willem Grové, marketing manager at Monier Coverland. To protect against leaks and contribute to the energy efficiency of the building, it is important to specify a radiant barrier that is installed underneath the roof surface with an air gap in-between. “A radiant barrier not only keeps the house cooler, but also serves as an underlay that lets any water that leaks underneath the tiles, to runoff from the underlay and out the eaves,” Grové explains. He points out that, even in a low-wind zone area, like Johannesburg, legislation requires the outside three rows of tiles to be fixed. However, this is something that is often overlooked or merely left out to cut costs. Even within a certain wind zone, one should remember that buildings on top of a hill are more exposed to stronger winds than those in the valleys and might need different specifications for fixing roof tiles. Thankfully, even on existing roofs where the tiles have not been properly fixed, storm clips can be installed afterwards. These are nailed into the branding underneath the roof and are easy and cheap to replace. 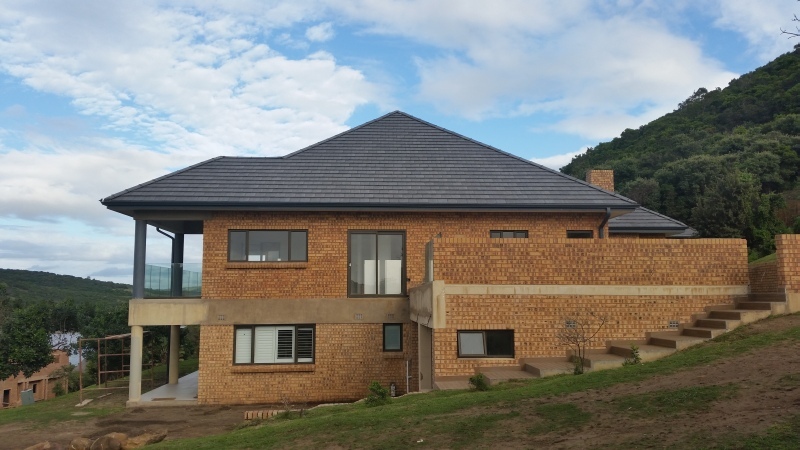 According to Ayanda Ndlovu, brand and communication manager at Marley Building Systems, the oxide to be used to colour the mortar in the bedding of the ridge line and hips also needs to be specified. “This oxide is used to achieve a uniform, consistent colour on the finished look of the roofing accessories,” she states. There are also alternative ways of designing ridges, such as with a dry-ridge system, a popular European practice that sees the ridge tiles being mechanically fixed to the ridge baton. “This means that the apex remains open, with the underlay going over the apex, and the roof is ventilated, so any hot air or moisture that is trapped inside the roof cavity can escape. This kind of system keeps the trusses dry and prevents mould from building up in the roof, especially in wet and humid climates,” explains Grové. “In addition, the ridge line doesn’t have to be waterproofed and repainted periodically. And since the tiles are mechanically fixed, if one tile cracks, it is very simple to replace,” he adds. Ndlovu adds that in order to have a complete roof that complies with minimum roofing and building specifications, and which is also acceptable to the home owner, it is important to specify not only the necessary accessories, but in every step to consider quality, availability and lifespan. • Approved under-tile membrane or radiant barrier. • Nails or storm clips for mechanical fixing according to the wind zone. • Oxide to be used in the bedding of the ridge line and hips, or a dry-ridge system. Full thanks and acknowledgement are given to BlueScope Steel Southern Africa, Marley Building Systems and Monier Coverland for the information given to write this article.